Priming, painting, and clear coating with high-quality, solvent resistant, UV stable automotive and aerospace specific coatings. Klaus Composites uses FRP, epoxy board, monolithic graphite, or metallic tooling depending on volume and processing temperature requirements. Our machined patterns and tools are precision crafted to exacting tolerances in-house on our 3-axis CNC router, and molded tools are designed, built, and heat treated for maximum stability, durability, and adherance to design tolerances. All patterns and tools are handled with care and stored in a climate controlled facility to guarantee you receive consistent parts every time. 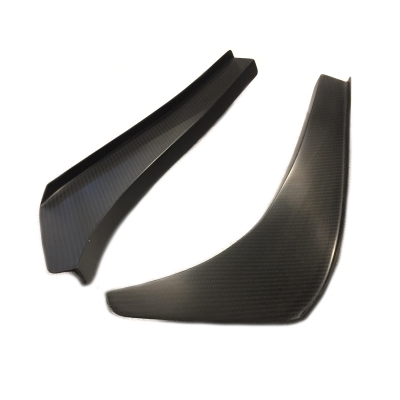 In addition to manufacturing finished components of all shapes and sizes, Klaus Composites works with other suppliers to develop the durable tooling and assembly fixtures they need to produce their own composite parts. Advanced surface coat technology and tooling resins and prepregs ensure long-lasting, dimensionally stable tools built specifically to suit your production needs.